The AL100 Universal Scooter Lift is today's most popular outside scooter lift and is now available to accommodate 400 lbs. capacity. 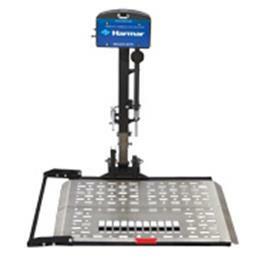 Features Harmar's Stars -N- Stripes aluminum deck design, dedicated to our veterans and commemorating Harmar's heritage as an American company. Aluminum Deck Size: 27.5" x 39", adjustable cradle extends up to 47"